Posted on February 28, 2013 by Jen C.
In lieu of my own blog post today I’m going to share another’s, Jim Bossler’s, that I found right on point. It’s a quick read, but a good prompt for today to take a look at the book of James. Click here to go to the page. As a side note, if you’ve not read the book, Red Like Blood, Joe Coffey and Bob Bevington write a phenomenal book together about their own life experiences with grace. It’s real-life; drama, romance, sports, and most importantly, God’s abundant love and forgiveness all rolled into one. Happy Thursday everyone! Posted on February 27, 2013 by Jen C.
This past summer Bob and I took the kids on a trip to Chicago, IL. We visited all the usual tourist “hot spots” such as the skydeck in the Willis (formerly Sears) Tower, Shedd Aquarium, Navy Pier and the Magnificent Mile. 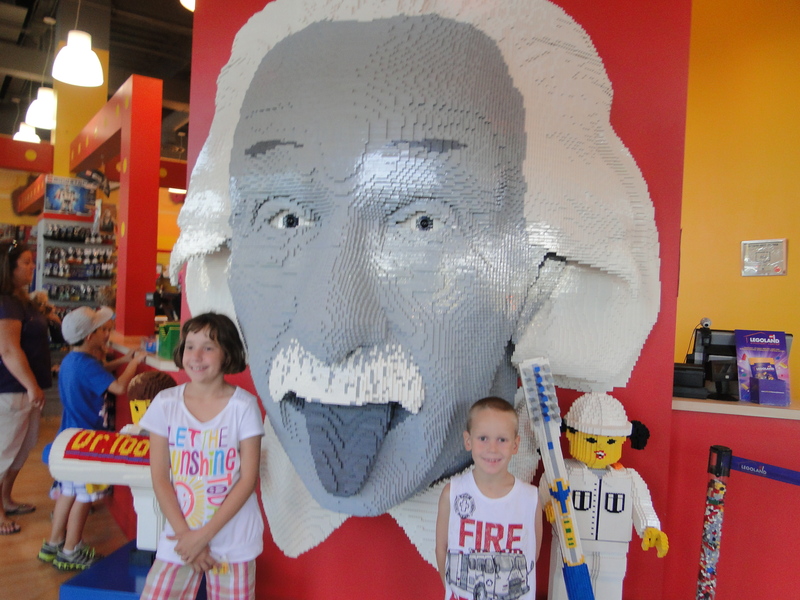 Of all the sights we took in though, I think that one of the kids’ favorite attractions was Chicago’s LEGOLAND Discovery Center. This mini version of LEGOLAND Florida and California features a Lego jungle expedition, life-size replicas of famous movie and television characters, mini replicas of the Chicago Skyline and other famous world landmarks like the Eiffel Tower and the Taj Mahal. 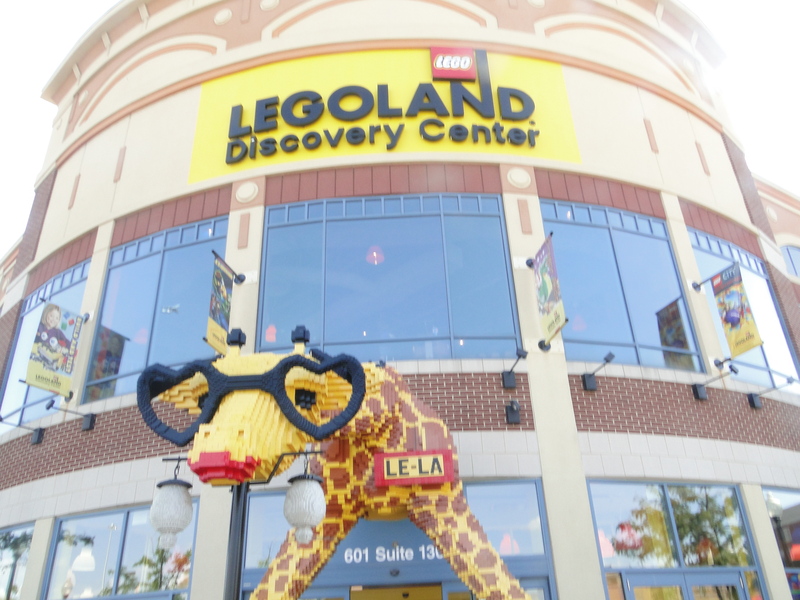 It also has Lego 3-D movies, rides, a kids recreation area and Lego creation center. There was definitely a lot to see and do during the few hours that we spent there. I think that as the kids ran excitedly from one display to another, Bob and I were continually amazed at the sheer construction of each of the featured characters and landmarks. It was so remarkable how thousands of tiny Legos had been placed so perfectly together to create the life-size and larger replicas. I tried to imagine how satisfied the builders must have been when they witnessed their finished products and saw the perfect images of Albert Einstein, Harry Potter, Darth Vader and R2-D2 staring back at them. I wonder if when God finished creating Adam if He felt the same sense of wonder in knowing how perfectly His creation had come together. Did He contemplate how each living cell had been uniquely displayed, how each functioning organ was placed precisely within the skeleton, how intricate were the workings of vessels, veins, muscles, ligaments and tendons? It’s almost a bit sad to me that I can go to a place like a Lego Discovery Center and marvel at the placing of plastic blocks to create perfect characters, but every day I am walking around in a body that I often don’t think twice about or even look at sometimes in disdain. Today as I reflect on life in my prayers, I want to thank God for the miracle of our being. He made us in His image resulting in an absolutely mesmerizing and complex reflection of self. Psalm 139:14 comes to mind, I praise You for I am fearfully and wonderfully made. Your works are wonderful, I know that full well. Lord, today I thank you for the miracle of my being. I know that when You crafted me, You did so knowingly and lovingly. You created my DNA that dictated exactly who I am and I celebrate that today. When I think about doing things that are unhealthy or detrimental to this body, let me remember that You, Father created me for a purpose and in Your image. My goal should not be destruction or self-deprecation, but respect and self-esteem for a creation so blessed. Thank you Lord for making me, me. Amen. Posted on February 26, 2013 February 26, 2013 by Jen C.
I just looked at him. KFC? As in Kentucky Fried Chicken? Who would want such a thing when they are sick with a cold.? No offense to you KFC lovers out there, but this is the LAST thing I’d choose to have for dinner when I’m not feeling good. Not to mention that after my husband had a heart attack at age 36, greasy and fried are not my first choices for him for the late evening meal. Then again, he was sick, he rarely ever asks for anything and he had this look in his eye that said, “I NEED fried chicken,” so yep, KFC it was. The kids and Bob opted for crunchy, greasy fried chicken. I, on the other hand, opted for their chicken pot-pie (which I have to admit is actually quite delicious as far as comfort food goes). As we enjoyed our KFC feast, it later got me thinking that God is a little bit of fried chicken and chicken pot-pie. Okay, I know it sounds crazy, but hear me out. In the Old Testament, we hear about God and His wrath in stories like Noah where He destroyed the entire earth with a devastating flood and Sodom and Gomorrah, where He rained fire and sulfur from the heavens to destroy everything there. In the New Testament we hear about how Jesus’ rage was evident when he was throwing the moneychangers out of the temple and chastising the Pharisees. There’s a lot of edgy, hot,”crispy” anger going on there, a little like the fried chicken, if you will. Then we hear of God’s abundant love in stories such as the sparing of Isaac’s life in the story of Abraham, the restoration of Joseph, the deliverance of the Israelites into the promised land, the protection of Esther, and ultimately in the gift and sacrifice of His Son. In the New Testament we hear of Jesus and his deep love for Lazarus, his understanding for the woman at the well, the healing of the possessed boy and multiple others. Again, there is His ultimate display of love, dying for us on the cross. In these stories there’s a lot of mushy, comforting, goodness, much like a chicken pot-pie. So you ask, which is He? Fried Chicken or Chicken Pot-Pie? Well, honestly, I believe He’s a little bit of both. Many Christians, like me at our recent dinner encounter, choose often to focus only on the “chicken pot-pie” side and show our aversion for the “hot and crispy fried chicken” side. I believe God is not only a God of love and mercy but a God of judgement. God detests evil, and His wrath is a very valid response to that. In the gift of His Son, wrath met mercy at the cross for all of us, bearing fruit to an indescribable, never-ending love. Fried Chicken or Chicken-Pot-Pie? Yes, please! Posted on February 22, 2013 by Jen C.
Our cleaning lady, Tina, was here today. Oh how I love “Tina days!” 🙂 With my more recent health challenges, Tina is a necessity in our lives rather than a “nice-to-have.” She is an essential part of keeping our household running smoothly and germ free. After the six plus years she’s been cleaning for us, she has become much more to us than our cleaning lady, she’s become a good friend. Bob and I attended her and her husband’s wedding. We have shared trials and tribulations as well as celebrations and joy regarding our kids. When I was in the hospital, Tina and her hubby brought me flowers. When my health really started to hit a bad point, she cleaned our house for free for several months. She is very dear to me and I have great respect for her for the obstacles she’s overcome in her life. We also have a mutual respect that’s built on honesty and tact. Never in the time that Tina has cleaned for us have I ever thought less of her because of her occupation. Even over the years of getting to know her and learning that she has had a very different life than mine, I have never thought of her as “just the cleaning lady.” There is way more to her than that. She knows it, I know it, but not all the people she encounters in her profession do. Just from the little she’s said about her other cleaning engagements (and it’s very little because she is very discreet about her clients), it’s obvious that some have treated her quite poorly. I think of the Cinderella story sometimes where the wicked stepmother and stepsisters are shouting constant demands, “Do this, clean this, iron this, hem this, scrub this, etc.” It made me so sad in realizing that there are people who actually treat Tina and people in all sorts of service professions with this kind of disrespect. Then I looked back at my own life today and realized that while I may not have treated Tina that way, there are probably instances in my life where I’ve said something equally unkind to someone providing a service to me that may have undermined their self-esteem or made them feel less than who they really were. Gulp. Ephesians 4:29 says, Do not let any unwholesome talk come out of your mouths, but only what is helpful for building others up according to their needs, that it may benefit those who listen and Romans 15:2 says, Each of us should please our neighbors for their good, to build them up. Both of those verses speak of building people up, not tearing people down. They don’t say that the exception is if you are in position A, you have the right to admonish the person in position B. It just doesn’t work that way. We’re supposed to be kind to everyone, period. In Colossians 3:12 it says, Put on then, as God’s chosen ones, holy and beloved, compassionate hearts, kindness, humility, meekness, and patience. Again, there is no exception included in this guidance. This weekend I would challenge all of you to put on kindness, especially to people who are in a position of serving you in some way. Maybe it’s the young girl at the pizza counter who is not counting the change as fast as you’d like. Maybe it’s the waiter at your favorite restaurant or the janitor at your church. Perhaps it’s the lady at the fast-food drive-in taking your order, your home health aid or nurse, your masseuse, your hair stylist, the guy packing your groceries or even your own cleaning lady. Really think about the words you speak. Are they words that will build up or tear down? Try to be kind. I’ll do the same. We’ll all learn together, right? 🙂 God bless and easy breathing! Posted on February 21, 2013 by Jen C.
One of my best friends puts a joke in her kids’ lunches every day. I think that is so cute. Her kids love jokes, she loves her kids and putting jokes in their lunch is the perfect way to tell them, “Hey, I’m thinking of you, knew you’d love this, and by the way, I love you.” Brilliant. I’m also a firm believer in writing “love notes” to my kids. Today, it was in the form of a letter that I wrote to Meghan after she asked some tough questions last evening about the state of my health and whether or not I was “ever going to get better.” Heart-breaking, but I’ll leave that for another post. Today, I wrote the letter and set it on her bed so that she’ll see it when she comes home from school. Not only do I hope that it will re-emphasize the important points of our conversation last evening, but also that it will reaffirm that no matter what happens, she will always have my love and God’s. A letter is a tangible memoir for my girl who sentimentally keeps everything; and it’s special because it’s private, something between just her and I. 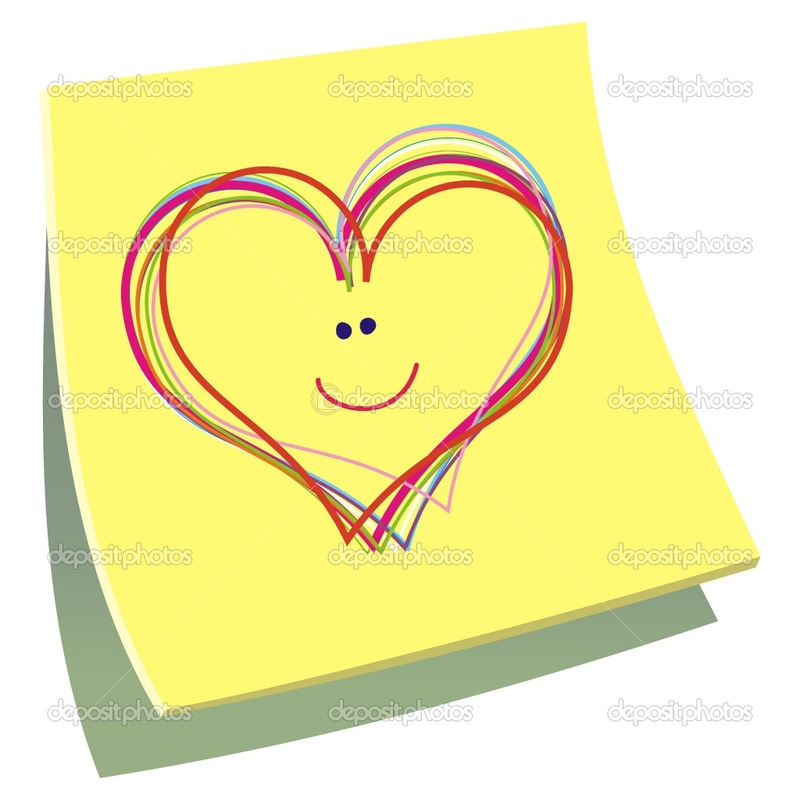 The thing is, you can express all kinds of sentiments in written love notes to your kids. Tell them a joke to make them laugh, give them a conversation starter for the dinner table or for a 1:1 chat, thank them for a job well done, compliment them, wish them luck, tell them that you’re sorry (it’s good for them to recognize that you also can make mistakes), tell them that you love them, tell them how Jesus loves them and share His word. Do it in a letter, a post-it, a paper airplane, a piece of tape on a baggie in their lunch. Heck, you could do it in shaving cream on their bathroom mirror! Anything outside their “norm” will get their attention and let them know that you’re thinking of them and they will be grateful that you took the time to make them feel extra special. Okay, a challenge for all of you. Tomorrow, write a love note to someone who is close to you. While you’re writing it, remember that God wrote us the ultimate “love note” when He gave us the gift of His Son. God bless and easy breathing! Today as Bob and Jacob were home with the start of bad colds and feeling much less than 100%, and our new heater started blinking some undetectable code of yellow lights at us and refused to come on, I began to feel a little discouraged. Questions such as, “Are we EVER going to get over this stretch of sickness in our house?” and “Did we really need one more thing with the heat going on the fritz in such cold weather?” started to plague my mind. Then as I was making lunch this afternoon I heard one of my favorite songs playing on the local Christian radio station. It’s by Steven Curtis Chapman and I’ve included both the video link and the lyrics for you below. Maybe in your own life situations this song will be a source of encouragement as it was to me today. It’s a good reminder that though the journey sometimes may be tougher than we anticipated, it’s the destination we need to keep in mind and to remember that we’re not alone in getting there. Sometimes God speaks to us in wonderful and unique ways, even through song. God Bless and Easy Breathing! Posted on February 15, 2013 February 15, 2013 by Jen C.
She was right of course, and it made me think about our collective surprise as a group, that the real product could look exactly like what was pictured on the box. It suddenly made me appreciate what a rarity that little macaroni noodle was. I mean, how often do we see what is advertised on packaging or through the media really being all that it’s cracked up to be? This too got me thinking about Jesus. He is the “real deal” through and though. He makes no false promises, no misleading advertisement. He loves us unconditionally; so much so, that he laid down his life on a cross for us to give us that security and personal redemption. He loves us and gives us free will to do our part, making a choice for Him. He does not promise the road will be easy or pain-free, but He does promise that He will always love us. Romans 8:38-39 says neither height nor depth, nor anything else in all creation, will be able to separate us from the love of God that is in Christ. Not unlike the little macaroni noodle Meghan found on her spoon, Jesus is the genuine article and He promises nothing but his love and grace if we trust in him. 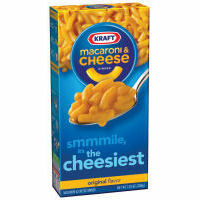 So the next time you are fixing a box of America’s “low-budget wonder” for you or your family, let it remind you that like Kraft Macaroni & Cheese spells “authentic,” Jesus’ authenticity is proven time and time again in our lives.